Redefine wealth? Vancity celebrated its 65th anniversary in 2011, along with its best ever financial results. As the largest credit union in Canada, it offers financial services to around 480,000 members who have entrusted the organization with C$16.1 billion of their assets. So how can a financial services institution, which is in the business of making profits, be purpose-led? In a depressed economic climate, where bankers have been widely criticised for their role in the financial crisis and detachment from the challenging everyday reality of people trying to survive against a background of unemployment and debt pressures, what makes Vancity unique? We called Lory to find out. Redefining wealth is about building healthy communities which we define as communities in which cooperative principles and practices are flourishing, environmental sustainability for our members’ lives and community is supported, and social justice and financial inclusion are enhanced in our members’ lives and communities. We are committed to leveraging all our resources as a financial services institution in service of enhancing member and community well-being and we believe that our cooperative structure gives us a unique opportunity to do so. The story of credit unions goes back many years. At the outset these organisations were member-led and purpose-driven, designed to look after their members’ money and to allow their members to benefit from the success of the organisation. Over time though, as we grew and became more successful, our focus became more fixed on traditional financial models than on our members. However in the last five years, we have been actively renewing our focus on members, pushing decision-making down in the organisation so it is getting closer to the members and their needs, as well as the needs of the communities in which we operate. 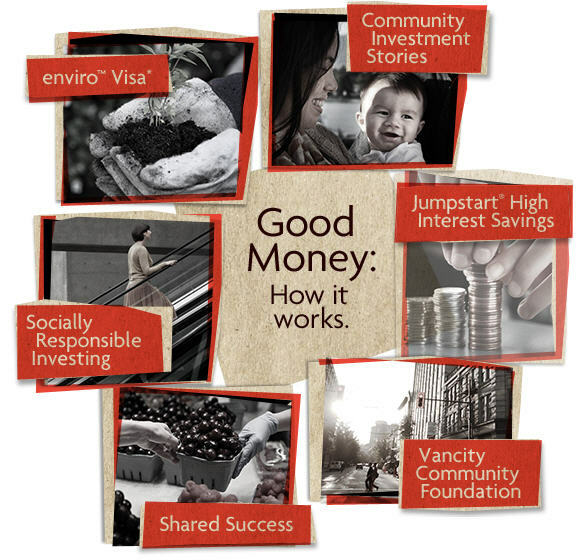 GT: Given the public’s negative view of financial institutions, how should I as a member of Vancity interpret “Make Good Money”? It’s about a new way of thinking about how to use your money. Our view is that it is not incompatible – and really possible to make our members’ money work harder for them, at the same time as delivering good things to the local communities where our members live – for example a mortgage with a competitive rate that helps establish new neighbourhoods, or a sustainable investment that’s also a competitive financial solution. If we build healthy communities, then our members will also prosper. People have really connected with the good money message, both our members and our employees. The response from members has been very positive. It’s what they expect from us and what they – and we – have always believed in; now we have managed to articulate the vision clearly. We’ve also been able share stories about the impact we’ve been having local communities which provides further ways for people to understand exactly what we doing and how they can also contribute to making an impact. GT: So the aim is to deliver competitive, profitable financial services and returns to members, at the same time as doing good for local communities and being environmentally sustainable, which obviously costs money. 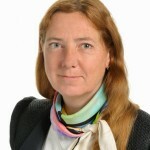 While there is much written about purpose-led companies, often from rapidly developing economies, that succeed in delivering both social benefits and economic benefits for their shareholders and stakeholders, this sounds like a tough challenge for a financial services institution in the developed world. How do you make this work? But we are under no illusion that it’s a challenge. We need new types of innovation and new types of business models. We are particularly focusing on member-led innovation, understanding more deeply what our members need and how we can help. We also recognise the need to test all kinds of business models. It also means that we need to develop new measures of success, ways to measure the impact we make both in terms of member well-being and on communities. The three key measures we are looking at include: achieving impact on the community; inspiring confidence in terms of what we do and our financial viability; and integrity. In fact we have had to completely rebuild the entire organisational dashboard over the last year to be able to support our vision and build ways to measure it. So right now we have two major areas of focus: internal realignment around the new dashboard; and better leveraging our member base to develop new opportunities and creative ways to engage them in innovation. We are likely the only financial institution that has “enhanced member well-being” as a top indicator of success. GT: what has been the response from your employees and your broader business network? You can really feel the energy in the organisation over the last year. There has been a lot of excitement around the vision and our new branding. Make Good Money TM really encapsulates what we’re trying to do and our employees see this and buy into it. We are also starting to engage in conversations with the organisations in our broader value chain and our suppliers. For example we are having conversations around the living wage – which is the minimum acceptable wage for people to be able to live a quality life. Our advantage is that we have a great brand and high recognition, so we can help to initiate these conversations and to influence our broader business networks. We are also actively engaged as a member of the Global Alliance for Banking on Values, an independent network of the world’s leading sustainable banks sharing the commitment to achieving triple bottom-line impact through responsible banking practices. GT: You and the executive team are clearly working hard to move Vancity towards the vision of redefining wealth and we’re certainly looking forward to hearing more about how your journey progresses. What’s next? As I said were working hard on two fronts at the moment: realigning the organisation around the vision and new dashboard; and really engaging with our members to drive innovation around the vision. Our work is really going to be driven by a deep understanding of the needs of our members and their communities. In order to be successful, we also need to maintain a current understanding of the larger global context and its impact on our members’ lives and communities. To do this, our executive team is engaging in more robust conversations around the externalities that we need to plan for as well as the potential opportunities that may arise in the future for redefining wealth for our members. We look forward to being able to share more stories of our journey as we move forward. Screenshot used with permission of Vancity.